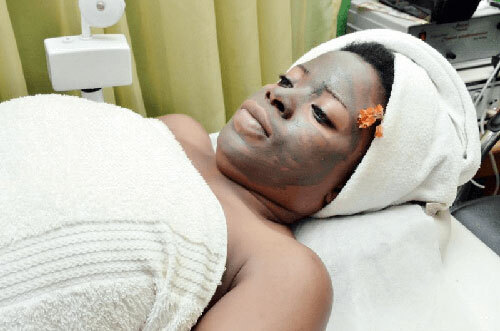 D-ril Spa is owned and managed by Theodora Omisande, an Indian trained beauty therapist/aesthetician based in Ibadan, Nigeria. She has a bachelor’s degree in Business Administration from the Olabisi Onabanjo University in ogun State Nigeria. After which she travelled to India to study and learn about beauty and hair therapy, and obtained a certificate in beauty and hair from the prestigious, 18 Beauty and Spa Salon, Mumbai India. She returned to Nigeria and started her practice along Ikorodu express road Lagos, until she moved to Ibadan, and re-opened in May 2010. 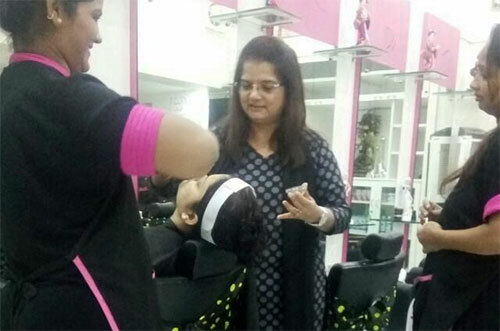 Immediately she started to update her knowledge in the field of beauty and relaxation for total wellness by enrolling with Tender Skin International (Cosmetology & Laser Academy) Mumbai India, where she obtained a diploma. She has since been frequent in India to keep in touch with the beauty and Spa trend, also from where she gets most of her products and machines. She is married and blessed with children. At our Spa and Wellness center, we provide basic beauty, health, weight loss and wellness services to industrial and non-industrial clients. We are aimed at giving an all natural Spa experience for a healthier and happier look, also targeted at giving you a squeaky clean, glowing skin with the help of ayurvedic science, aroma therapy, and hydrotherapy and magnet therapy. We specialize in the treatment and management of acne conditions, re balancing oily skin, reduction of deep-set wrinkles, stretch mark reduction and treating menopausal skin. We give brightening rejuvenation treatments for pigmentation marks, spots and scars. We offer different wellness experiences categorized as the rejuvenation programme, detoxification program me, weight management and anti-stress programme. Magnet Therapy is healing by magnetic rays. It is used for the treatment of pains and also to relax the muscles. Healing magnets made of ferrite are placed on particular points in the body to bring about relief from pains, stress and fatigue. Spa Bleach this is a systematic lightening and toning of the skin using herbal packs, impurities are extracted and fruit acids are applied to the face to accelerate the removal of dead skin cells. It rebalances natural skin tone. Your skin becomes fairer and more radiant in 2hrs. Stretch mark treatment this is done using micro needle therapy, you need five to six sessions to reduce the appearance of stretch mark in your body. We also have herbal oils and creams that can help to achieve the same results. Stress and Tension Management uses product and masks to relax and rejuvenate the body. We give Aroma sauna and tub bath followed by a complete relaxing massage focusing on vital points around the scalp, neck and shoulders to relieve tension, helps to increase the blood circulation, resulting in overall calming effect. We use magnets and Aroma oils. suited to condition involving stress or improving emotionally related conditions. Breast Enhancement – you can enhance the size of your breast with our breast enhancing capsules, oils and creams. They are all natural products with results and no side effect. Anti ageing treatment – this is principally intended for sensitive and mature skin that is beginning to exhibit the initial signs of ageing. It helps repair damages to the matrix in the deeper layer of skin caused by ageing process. It rebalances the effects of hormonal changes and re-tone the skin leaving it wrinkle free, soft and smooth. Herbal bleach – this is enhancing the complexion of your skin, making you shades lighter with the use of herbal pack. It is a very safe and non invasive method of bleaching, and it gives result in only a few hours. Hydrotherapy- this is basically treatment using water based therapy like tub and steam bath which helps to burn out calories, bring down lipid levels, improves metabolism and a host of other benefits.